A little bit country, a little bit Christmas all a cappella! 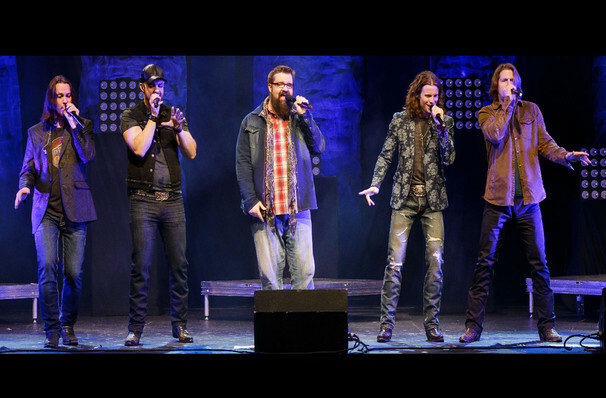 Why See Home Free: A Country Christmas? Home Free - A Country Christmas! Celebrate this festive season with an A Capella twist! 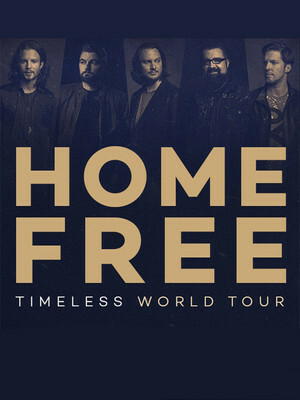 Country vocal group Home Free is hitting the road and bringing their trademark harmony-rich, southern sound along for the ride, with some absolute Christmas classics thrown in for good measure. The quintet first turned heads and ears when they won the fourth season of popular TV talent contest The Singoff in 2013, and they've been on the road ever since, bringing their unique blend of vocals and country to stages all over the world. They've got the Nashville edge, but still manage imbue their shows with a down-to-earth honesty and a quick-witted humour that often has the audience in stitches. Seen Home Free: A Country Christmas? Loved it? Hated it? Sound good to you? Share this page on social media and let your friends know about Home Free: A Country Christmas at Kiva Auditorium. Please note: The term Kiva Auditorium and/or Home Free: A Country Christmas as well as all associated graphics, logos, and/or other trademarks, tradenames or copyrights are the property of the Kiva Auditorium and/or Home Free: A Country Christmas and are used herein for factual descriptive purposes only. We are in no way associated with or authorized by the Kiva Auditorium and/or Home Free: A Country Christmas and neither that entity nor any of its affiliates have licensed or endorsed us to sell tickets, goods and or services in conjunction with their events.